Stefen Hudson,(left) age 14, and his family moved to Vancouver from Seattle so he could attend the Washington State School for the Blind. 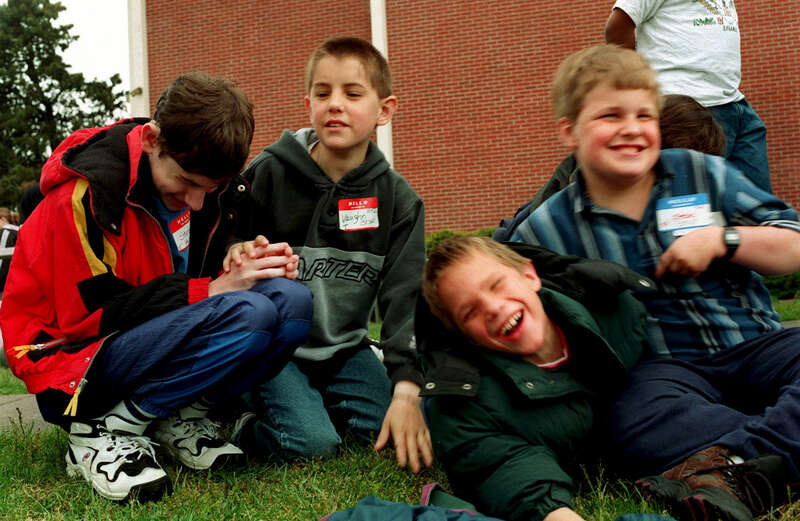 His best friend is Vaughn Brown (second from left),11, the only other deaf-blind student at the school. Many parents send their children to the state deaf or blind residency schools to foster the child\'s social interaction within the deaf or blind cultures.